Since 1983, Coffman & Company is your best choice for repair, installation, and service in homes and buildings just like yours in the Greater Denver/Boulder/Foothills area. We take special pride in the craftsmen we train and employ--a fact you'll see in the reviews below. It's also noticeable immediately in the attitude and integrity our technicians bring to your job site. Our entire company works hard to make your experience with us hassle-free and enjoyable. You can also be assured that Coffman & Company stands behind the work we do as well as complies with all local codes. This is why, as you can see by the map and reviews below, we are rated so highly for Plumbing, Furnace, and Air Conditioning Repair in Commerce CityCO. Call us today at (303) 366-1112! Alan, Wyatt, Jake, Nate, Jon and all the other crew members went above and beyond to make this project go flawlessly. My thanks and appreciation to your entire company. Great job! cliff always does a great job. would recomend him . great service and professional. We had our furnace tuned up today by Coffman and were wonderfully satisified. The technician was knowledgeable and did not try to talk us into buying a new furnace. (Ours is only 11 years old) Said everything checked out and looked great. He spent some time talking to my husband about how to install a programmable thermostat (without trying to talk us into a very expensive one). Most effective, very courteous and efficient. I am thrilled to be back as a Coffman customer! 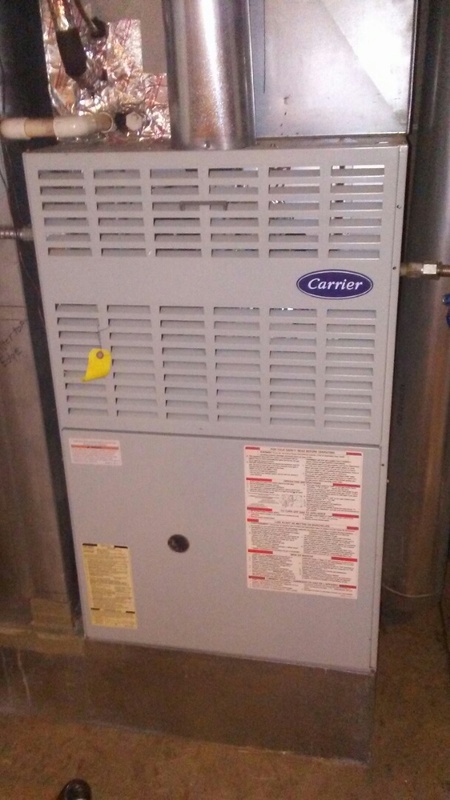 Completed installation of a new 95% TRANE furnace and a new 17 seer TRANE air conditoner.